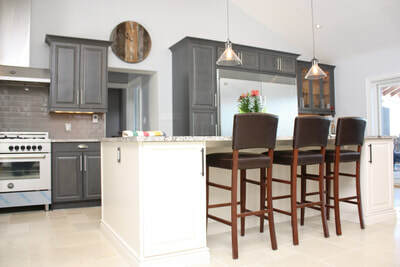 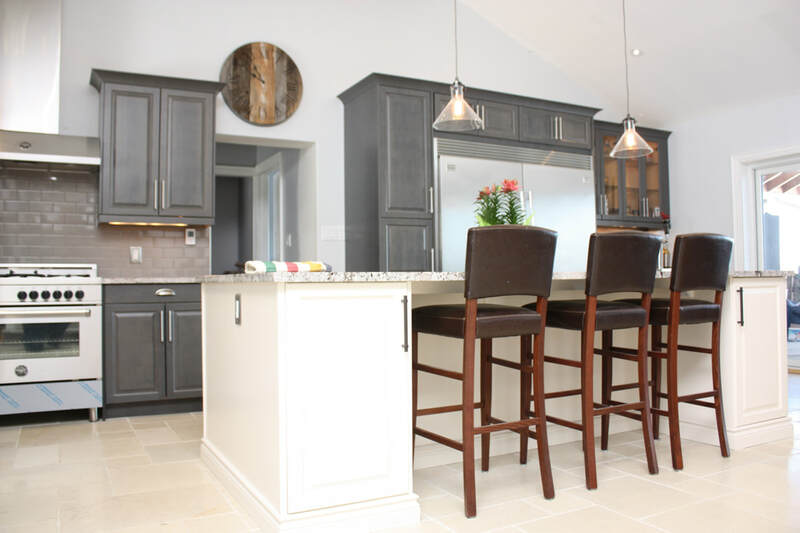 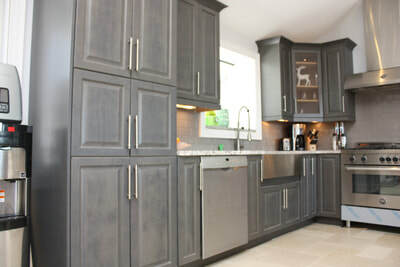 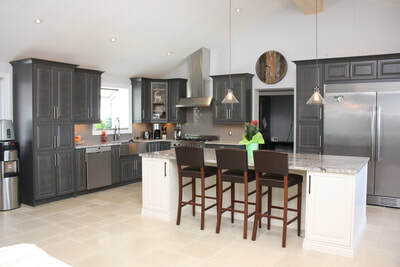 Two tone custom kitchen with gray stained maple doors and antique white painted island. Stainless steel farm sink with restaurant faucet. 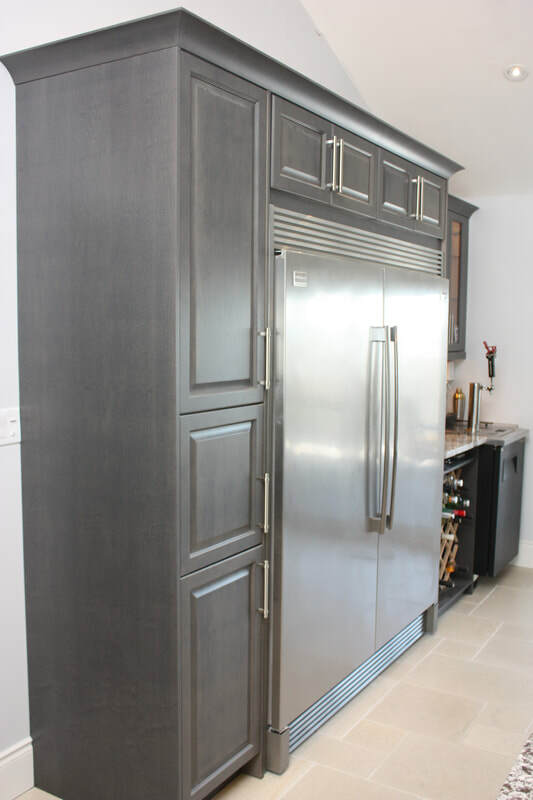 Double wide stainless steel fridge and freezer. 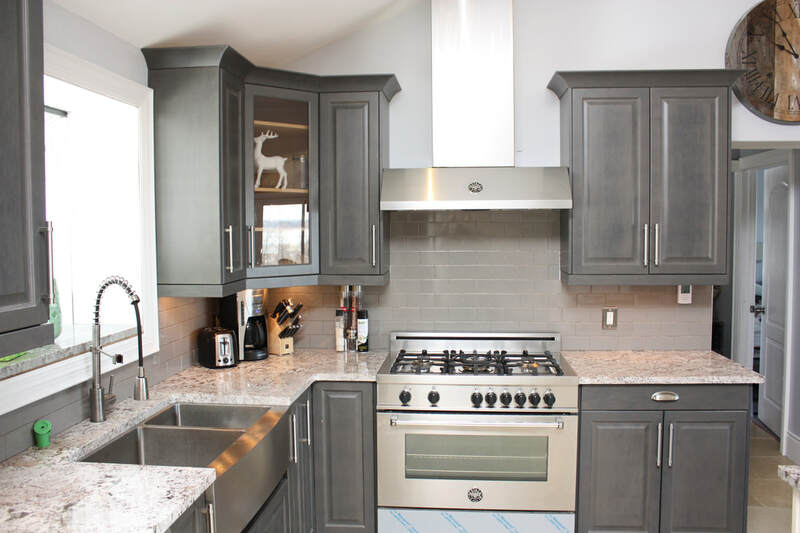 Wolf stainless 6 burner stove. 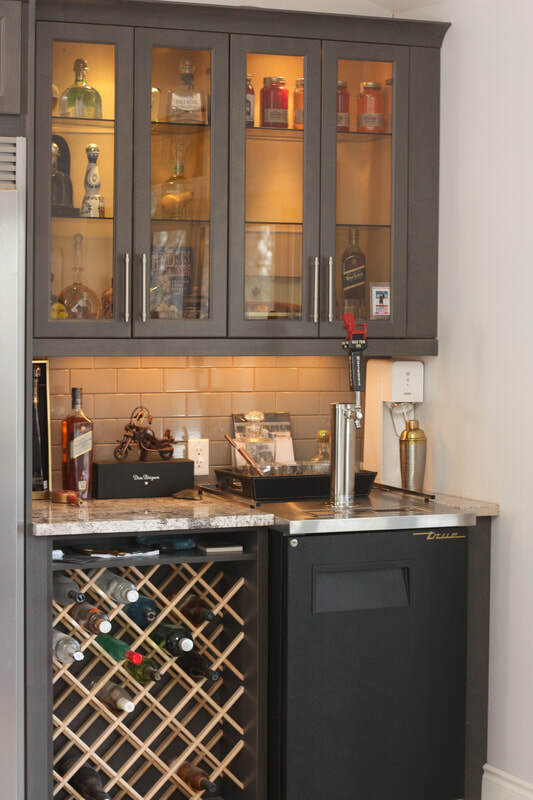 Custom built bar/server with kegorator, glass cabinets and wine rack.